In January 2004 City Mayors launched the internet-based project World Mayor 2004. The aim of the project was to raise the profile of mayors worldwide, as well as to honour those who have served their communities well and who have made contributions to the well-being of cities nationally and internationally. The most outstanding mayor was to be awarded the title World Mayor 2004. City Mayors set up the dedicated website www.worldmayor.com for the project. City Mayors operates on a non-commercial basis. All published information is available free of charge and free of advertising. In addition, City Mayors does not seek donations and, if offered, will not accept any other forms of remuneration. In the second round, which ran from July to November 2004, readers of City Mayors were asked to choose from the shortlist mayors who they believed deserved to win the title World Mayor 2004. Each reader had four votes. They could, however, only vote for one mayor from each of four world regions: Europe, the Americas, Asia and Africa. All votes were counted manually to eliminate, as far as possible, multiple and organised voting. In addition to click-voting, readers were encouraged to comment on why they felt a particular mayor deserved to win the 2004 World Mayor title. When setting up the rules for the competition, City Mayors emphasised that the strength of argument was as important as the number of votes. By stressing the importance of well-expressed comments, City Mayors ensured that the competition participants thought about the merits of their chosen mayors. The rules also allowed mayors from smaller cities to compete on equal terms with a mayor from a large metropolis. The list of finalists for the title World Mayor 2004 consisted of 24 mayors from Europe, 17 from the Americas, five from Asia and three from Africa. European mayors included some of the big names, such as Bertrand Delanoe, Mayor of Paris, Ken Livingston, Mayor of London, Klaus Wowereit, Mayor of Berlin, and Walter Veltroni, Mayor of Rome. Other mayors from European capital cities on the final short list were Annika Billström, Mayor of Stockholm, Dora Bakoyanni, Mayor of Athens, Edi Rama, Mayor of Tirana, Michael Häupl, Mayor of Vienna, and Jens Kramer Mikkelsen, Mayor of Copenhagen. European mayors representing other major European cities included Jean-Marie Bockel, Mayor of Mulhouse, Dieter Salomon, Mayor of Freiburg, Wolfgang Tiefensee, Mayor of Leipzig, Fritz Schramma, Mayor of Cologne, Sergio Chiamparino, Mayor of Turin and Juan Clos, Mayor of Barcelona. The American contingent among the World Mayor 2004 finalists consisted of mayors from Brazil, Colombia, Guatemala, Mexico, Canada and the US. Three US mayors among the finalists represent cities in Florida: Miami, Delray Beach and South Bay. Internationally known US mayors included Gavin Newsom (San Francisco), Shirley Franklin (Atlanta), William A. Johnson (Rochester) and Martin O’Malley (Baltimore). 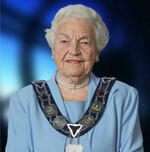 The short list of Canadian mayors was headed by Hazel McCallion (Mississauga). The other two mayors from Canada were Larry W. Campbell (Vancouver) and Bob Chiarelli (Ottawa). Large Latin American cities were represented by Andres Manuel Lopez Obrador (Mexico City), Cesar Maia (Rio de Janeiro), Marta Suplici (Sao Paulo) and Victor Hugo del Pozo (Antigua). The 2004 short list also included the mayors of Hiroshima (Tadatoshi Akiba), Beirut (Abdel Meneem Al-Arisses), Kathmandu (Keshav Sthapit), Ankara (Melih Gokcek), Casablanca (Mohamed Sajid), Pretoria (Smangaliso Mkhatshwa) and Abbes Mohsen (Tunis). All short listed mayors were given the opportunity to introduce themselves and their cities by publishing on the World Mayors website short manifestos under the heading ‘My City in 2004’. The 83-year-old Mayor of Mississauga (Canada), Hazel McCallion, stresses that during her 25 years in office she transformed a cluster of small towns into the country’s sixth-largest city. Martin O’Malley, Mayor of Baltimore and re-elected with a large majority on 2 November 2004, is particularly proud of having made his city safer and cleaner as well as more children friendly. In his manifesto he also emphasised his continuing efforts to attract investment to Baltimore. Jeff Perlman is Mayor of Delray Beach, Florida. In his manifesto he says that the town, with its 63,000 people, is ‘America in 16 square miles’. Mayor William A. Johnson, Mayor of Rochester (NY) is one of the most respected US mayors. In his manifesto he says that Rochester, like many US cities, has been suffering from disinvestment as people and businesses have moved into the suburbs. “Rochester is one of those cities that have been damaged by sprawl and disinvestment. Our priority is to attract new investment and middle-class residents,” he said. For 59 years the Japanese city of Hiroshima has been warning the world against nuclear weapons. In 1982, the then Mayor of Hiroshima, Takeshi Araki, together with the Mayor of Nagasaki called on mayors from around the world to support the abolition of all nuclear weapons. The result of their initiative is the organisation Mayors for Peace, which is now supported by 629 cities in 109 countries. The current Mayor of Hiroshima is a rarity among Japanese politicians: bilingual, and thoroughly cosmopolitan. He lived for nearly 20 years in the US, and has degree from MIT Boston. In May 2004, the Mayor of Kathmandu, Keshav Sthapit, together with other Nepalese mayors, resigned from office due to the political and security situation in the country. Nevertheless, City Mayors decided that he should remain in the 2004 competition. In his manifesto he says that whoever governs Kathmandu must make the city beautiful, well managed and full of life; a modern city full of opportunities; a city where citizens are proud of their natural and cultural heritage, and look forward to a bright future. Dr Michael Häupl, Mayor of the Austrian capital Vienna, says in his manifesto that, in a nutshell, he aims to give Vienna’s future a human shape. “In line with this mission, the City of Vienna is currently dedicating considerable funds to a comprehensive reform of nursing and care services for senior citizens and people in need of help. We are shifting the focus from large nursing homes to a range of smaller facilities and geriatric day-care centres throughout the city,” the Mayor writes in his manifesto. 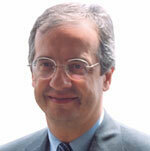 Rome’s internationally renowned Mayor Walter Veltroni says in his manifesto that Rome’s chief virtue today is that of having succeeded in creating its own original growth model, comprising economic development and social cohesion, and tying urban renewal, the upgrading of the service network, and the promotion of the entire city’s well-being to new business opportunities and policies for the integration and economic support of the weakest social groups. Annika Billström, Stockholm’s first female mayor, emphasises in her manifesto determination to make the city a world leader in urban environmental protection and sustainable development. The World Mayor project is now in its third year. As in 2004 and 2005, this year’s World Mayor will again be seeking out mayors who have the vision, passion and skills to make their cities amazing places to live in, work in and visit. The World Mayor project aims to show what outstanding mayors can achieve and raise their profiles. It honours those who have served their communities well and who have made contributions to the well-being of cities nationally and internationally. The most outstanding mayor of 2006 will be presented with the World Mayor award. In 2004, Edi Rama, Mayor of Tirana, won the Award. The 2005 winner was Dora Bakoyannis, Mayor of Athens and now Greek Foreign Minister. Between January and May each year, citizens from across the world are invited to nominate mayors for the World Mayor Award. They are also asked to provide reasons for their choice. After the close of the nomination stage, City Mayors, the organisers of the contest, prepare a shortlist of mayors who go forward to the second round of the World Mayor contest. In 2006, the list of finalists includes 50 mayors from North and South America, Europe, Asia, Australasia as well as Africa.